Lofts, Townhomes, Condos and Apartments. 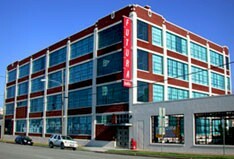 We specialize in Deep Ellum Lofts in the urban neighborhood of Dallas. Deep Ellum offers a variety of housing options including Quirky Lofts! Our Specialty is Urban Housing and we will find your perfect Loft or cozy Apartments in Deep Ellum. We know where to find them along with the latest "Move-In-Specials"
Deep Ellum offers a wide variety of Lofts, whether it's a cozy studio Loft or Open Warehouse style Loft with high ceilings exposed duck work or , Stylish Split Level Loft or Apartment for rent or Deep Ellum condo for sale. Following are examples of many of the properties currently available For Rent or Sale In The Urban Neighborhoods. We've broken down the searches to present a cross section of the styles, sizes, prices and locations of the market at the present time. .Got A Question? We're Here To Help. Call Us. click on the trolley for our on-line form! One of Dallas’s hottest neighborhood. Just off Commerce. In the 70's artists, club goers and other urban pioneers, were drawn by cheap rents, plentiful space, central location and urban ambience. ~ They began to colonize. 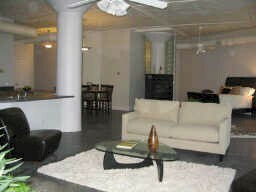 Lofts, Condos, Townhomes, Apartments, urban contemporary townhouses, loft warehouse conversions, edgy condos to quirky lofts. Deep Ellum Community Profile. ~ Once abandoned warehouses and historic buildings have been transformed into electric shops, bars, restaurants, galleries, and lofts. In addition, the area holds numerous live theater and poetry venues. Murals and graffiti add to the area's colorful atmosphere. Night life in Deep Ellum is always an experience, where the very best in current music can be found. From folk to blues, jazz, rock and reggae to rockabilly, plus cutting edge alternative. 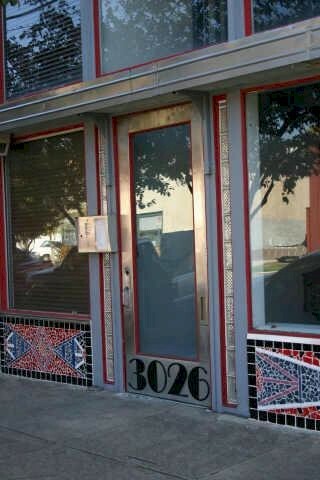 If its Avant Garde, different and unexpected..... it's probably in Deep Ellum! There are lofts located close to the Fair Park area which is A Cultural and Entertainment Center... is a division of the Dallas Park and Recreation Department. Located two miles east of downtown Dallas, Fair Park is home to nine museums and six performance facilities, including the Music Hall, Smirnoff Music Centre, Band Shell and the Cotton Bowl Stadium. This National Historic Landmark has the largest collection of 1930s Art Deco exposition style architecture in the United States located on 277 acres of beautifully landscaped grounds. Over 749,000 square feet of enclosed space can be leased for conferences, exhibits, markets, festivals and sporting events. Over seven million people visit Fair Park annually for ticketed events with 3.5 million attending the State Fair of Texas for three weeks each fall.